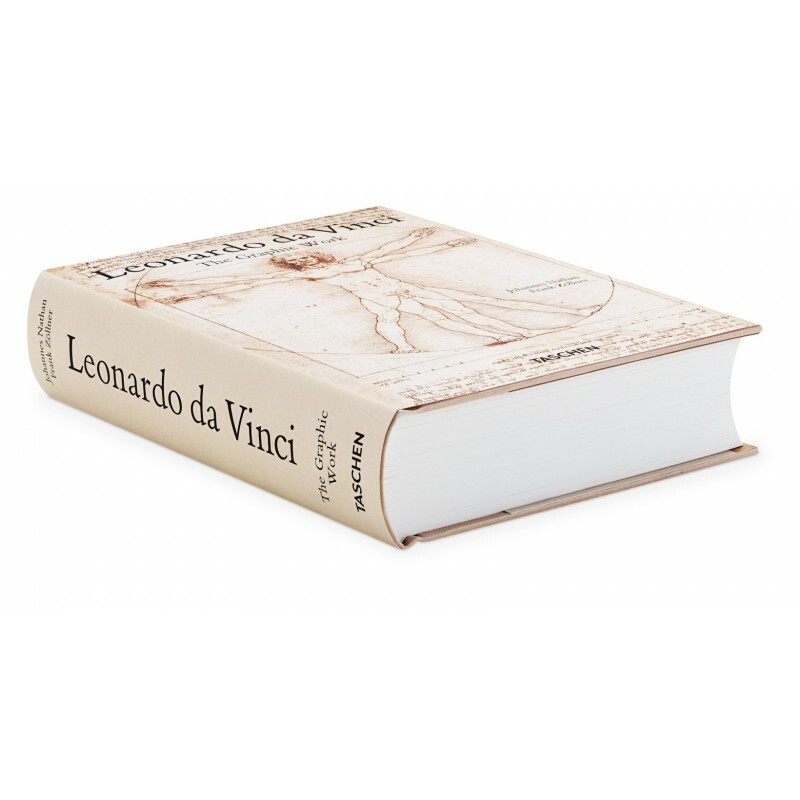 One of the most accomplished human beings who ever lived, Leonardo da Vinci remains the quintessential Renaissance genius. Creator of the world’s most famous paintings, this scientist, artist, philosopher, inventor, builder, and mechanic epitomized the great flowering of human consciousness that marks his era. 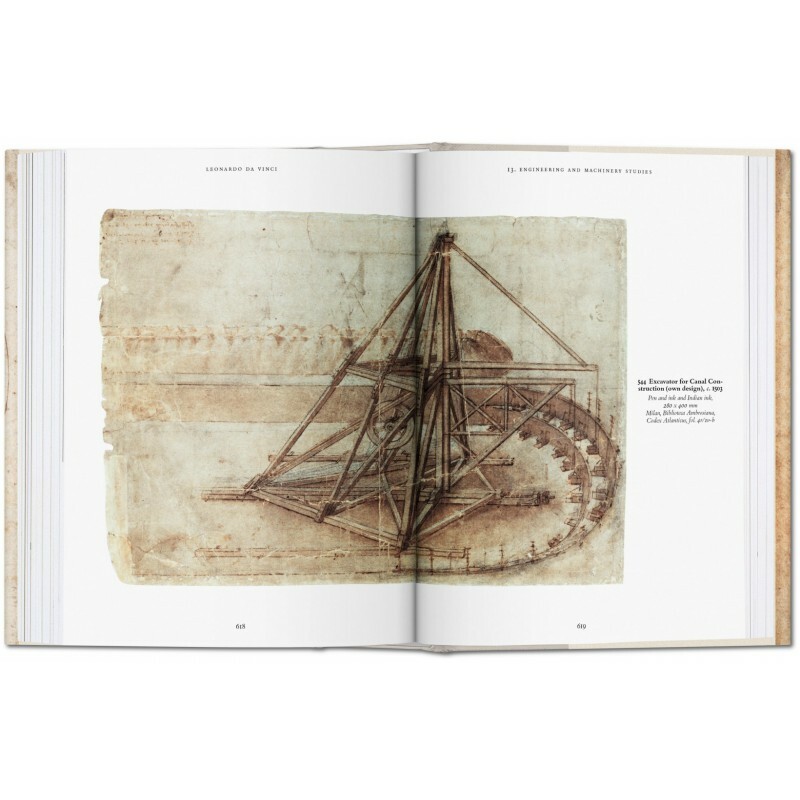 Leonardo da Vinci – The Graphic Work features top quality reproductions of 663 of Leonardo’s drawings, from anatomical studies to architectural plans, from complex engineering designs to pudgy infant portraits. 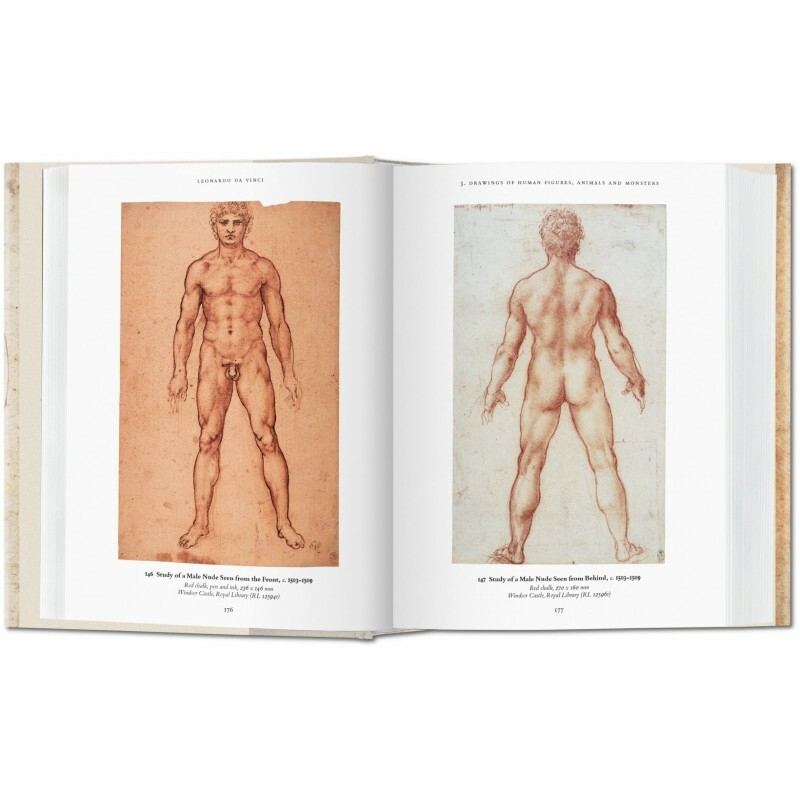 All of the drawings, more than half of which were provided by the Royal Collection at Windsor Castle, are presented in full-page format. 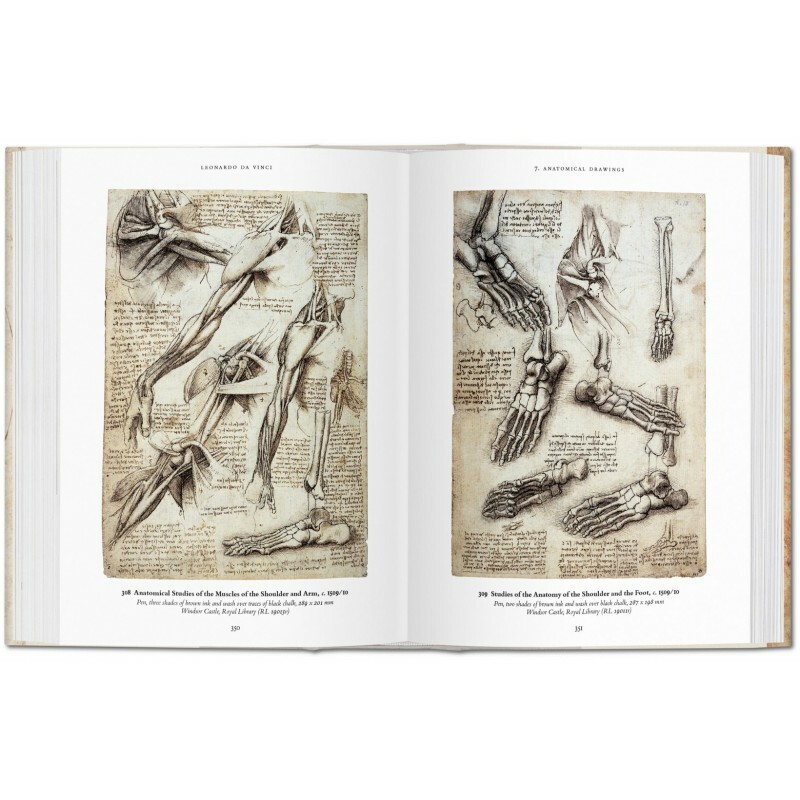 Delve in and delight in the delicate finesse of one of the most talented minds, and hands, in history. 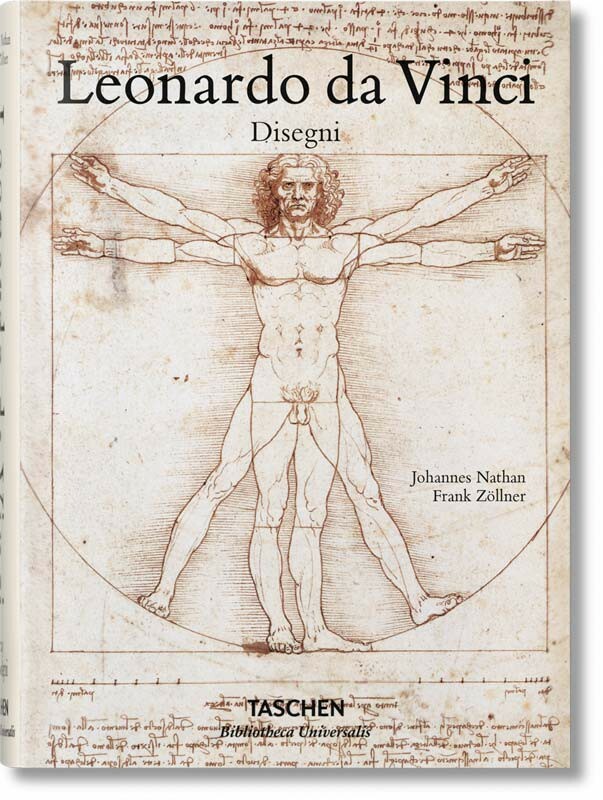 Frank Zöllner wrote his doctoral thesis on motifs originating from Antiquity in the history of art and architecture of the Medieval and Renaissance periods (1987). 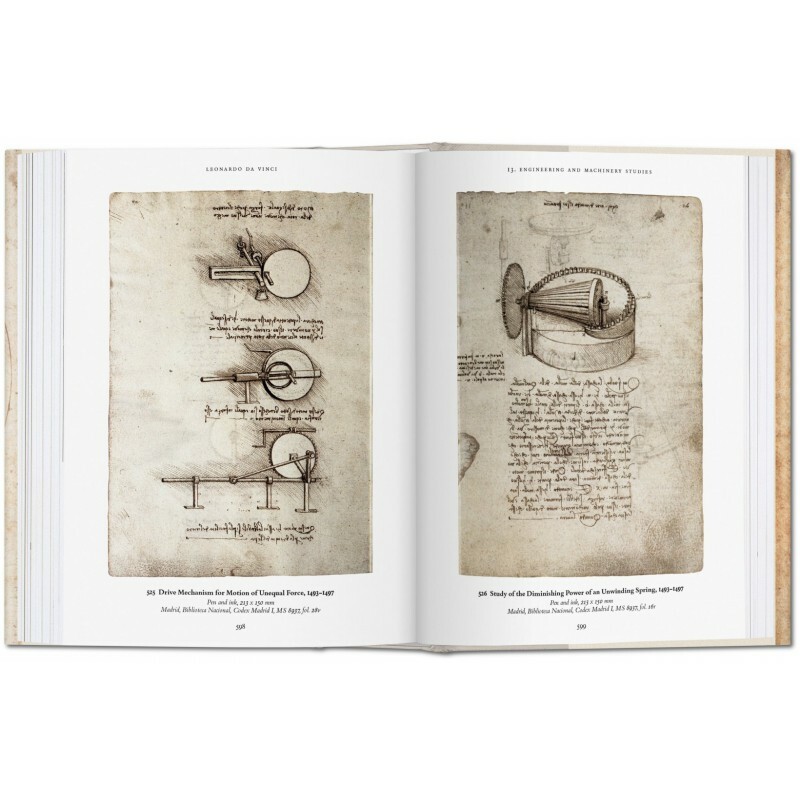 He is also the author of a postdoctoral treatise on motion and expression in the art of Leonardo da Vinci, published in 2010. He has published numerous works on Renaissance art and art theory, and on 20th-century art. Since 1996 he has been Professor of Medieval and Modern Art at the University of Leipzig. 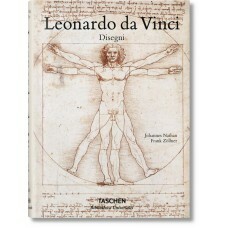 For TASCHEN he has authored the XL monographs on Leonardo da Vinci and Michelangelo. 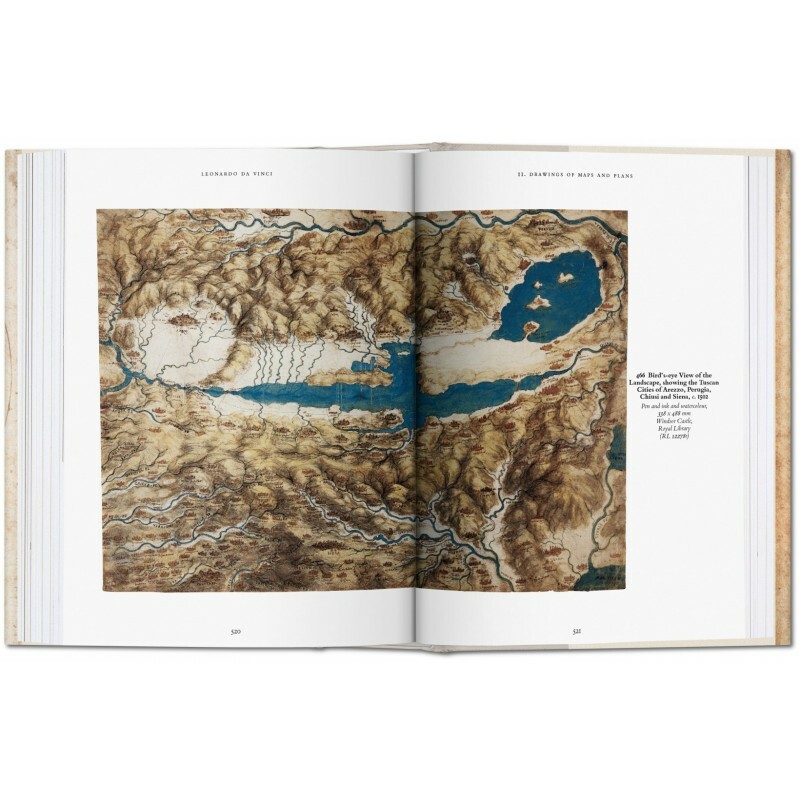 Johannes Nathan studied art history at New York University and the Courtauld Institute of Art in London, where he earned his Ph.D. in 1995 with a dissertation on the working methods of Leonardo da Vinci. He has taught at New York University and at the universities of Berne, Leipzig and Cologne. He is the author of a range of publications on art and works as an art dealer and freelance art historian in Berlin.